The Kaduna State government has called on residents to desist from spreading rumours and circulating images appealing for reprisal in Kajuru Local Government Area and other parts of the state. According to a statement signed by Governor Nasir el-Rufai’s Spokesperson, Samuel Aruwan, a weekly security meeting of the Security Council condemned the ongoing circulation of the call-to-revenge images and warned those engaging in the act to desist. The Council warned that “anyone found will not be spared and will be prosecuted accordingly without fear or favour. “It is clear, that those circulating these inciting images are hell- bent on deepening the unfortunate incidence that occurred last month,” the statement said. 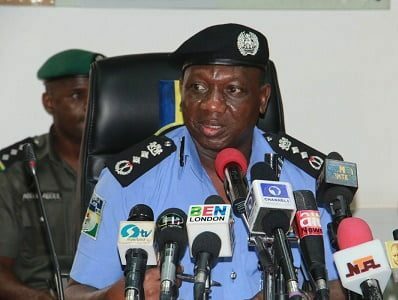 Meanwhile, perpetrators of hate speech will be arrested and charged under the Terrorism Prevention Act, Ibrahim Idris, the Inspector-General of Police, has said. Yemi Osinbajo, Vice President, had recently announced that hate speech will be treated as an act of terrorism. He had said: “The Federal Government has today drawn the line on hate speech. Hate speech is a specie of terrorism. Jimoh told The Nation that: “Dealing with various aspects of the issue of hate speech dissemination on social media is essentially the responsibility of the Nigeria Police Force. “This is because such an act is criminal in nature and the police has jurisdiction over criminal matters. The IGP has put in place an action plan towards dealing with this effectively. “The aim of the police force is to ensure that anybody who engages in the use or dissemination of hate speeches is arrested and prosecuted. “It does not matter whether they disseminate it through social media or through the conventional mass media like radio, television or any other media. They are culpable of an offence and they will be prosecuted. According to the Terrorism Prevention Act, terror-related offences attracts up to 20 years imprisonment.